Rakuten, FC Barcelona’s main global and innovation partner, visited the Barça Museum on Monday. They did so during a visit to the Mobile World Congress in Barcelona, at an event in which the Japanese company invited the industry leaders. 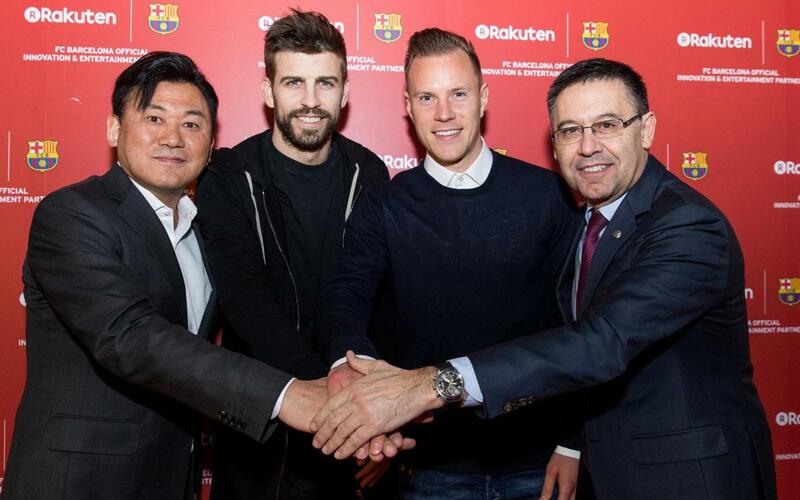 Among the attendees, was Rakuten’s CEO Hiroshi Mikitani; FC Barcelona’s President, Josep Maria Bartomeu; Vice President Jordi Cardoner; and the Club’s CEO, Òscar Grau. The first team players Gerard Piqué and Marc-André Ter Stegen, who attended the event. Over 350 people attended the event which started with a small tour of the Museum, a freestyler performance, followed by a speech by Mikitani. Following the speeches, the guests were able to explore the trophies exhibited and the history of the Club in one of the most visited attractions in Catalunya.